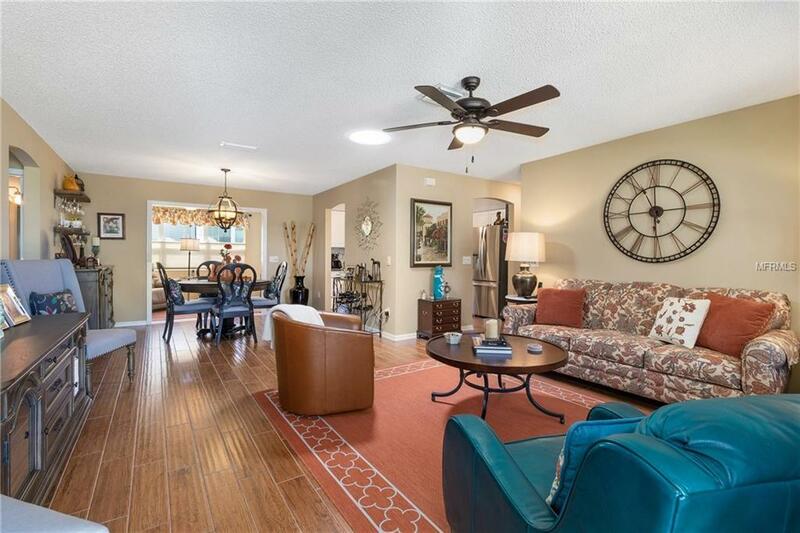 THIS BEAUTIFULLY REMODELED HOME WELCOMES YOU FROM THE MOMENT YOUR ARRIVE. 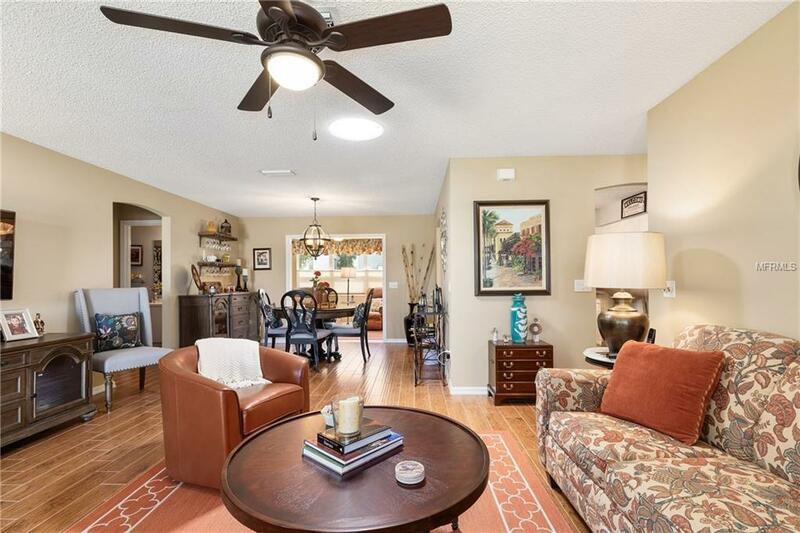 (BOND PAID) THIS 2/2/2 ABILENE RANCH has been UPDATED INSIDE AND OUT. 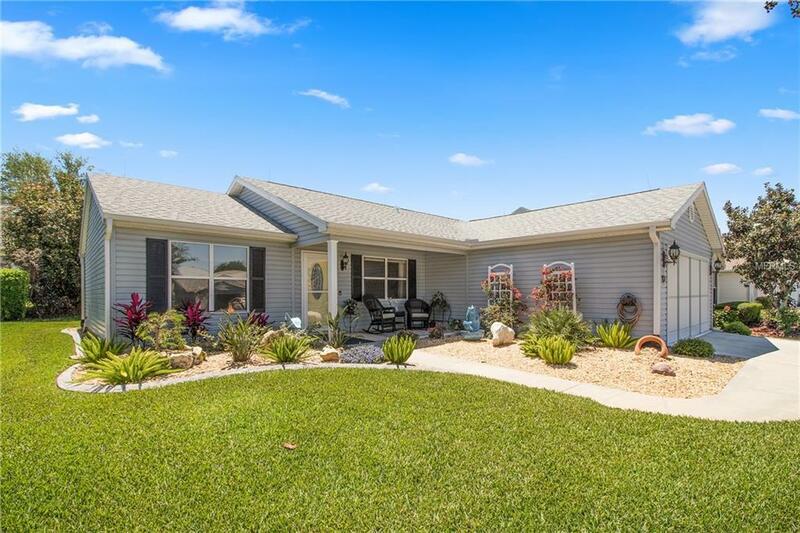 THE NEWLY LANDSCAPED EXTERIOR has been SPRUCED UP, and includes a TRANQUIL FISH WATERFALL in the FRONT GARDENS, a GREAT AREA to sit and enjoy a cup of your FAVORITE BEVERAGE and our LOVELY FLORIDA WEATHER. As you ENTER THE LEADED FRONT DOORWAY YOU WILL KNOW YOU FOUND YOUR NEW HOME! THE BRIGHT KITCHEN HAS NEW WHITE CABINETRY ACCENTED with BRAID TRIM, & SEVERAL GLASS FRONT CABINETS, offering plenty of storage, and DRESSED UP with STAINLESS STEEL APPLIANCES. The SPACIOUS MASTER SUITE has a PRETTY UPDATED BATH to include an ONYX SHOWER, and COUNTER TOP, NEW CABINETRY and a Linen Closet. 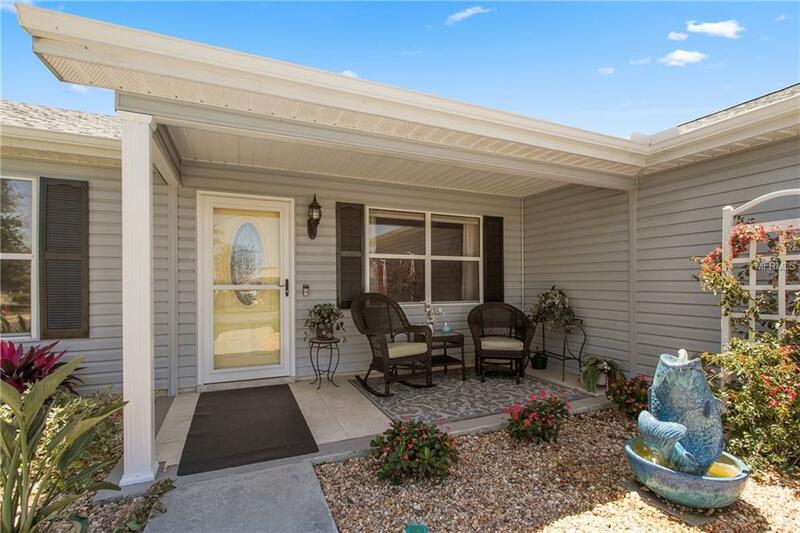 In the back of the home is a HANDSOME BRICK PAVED PATIO for OUTDOOR GRILLING or just RELAXING. THE HOME HAS PORCELAIN FLOORS THROUGHOUT, THERE IS NO CARPET IN THE HOME. THE LIST GOES ON AND ON!! THE OWNERS PRIDE SHOWS THROUGHOUT THE HOME. CAN'T BEAT THE LOCATION EITHER, EASY ACCESS TO SPANISH SPRINGS AND SUMTER LANDING TOWN CENTERS. SELLERS ARE PROVIDING THE NEW BUYERS WITH A 1 YEAR HOME WARRANTY AT CLOSING. THIS AMAZING HOME WON'T LAST!